Welcome to Sarah-n-Dippity. I am Sarah Thompson, the creative force of Sarah-n-Dippity. My fascination with jewelry started at a very young age. I still remember my first necklace given to me as a gift from my grandmother when I was 4. It had tiny little teddy bear beads in an alternating pattern of pink, blue, and white. I loved the feel of it when worn, and was mesmerized by the textures I felt as I ran it through my fingers. As I grew that fascination stayed with me, and by the time I was 14 I became fixated with beads. I spent hours in the library and the local bead store learning what I could from books and magazines. 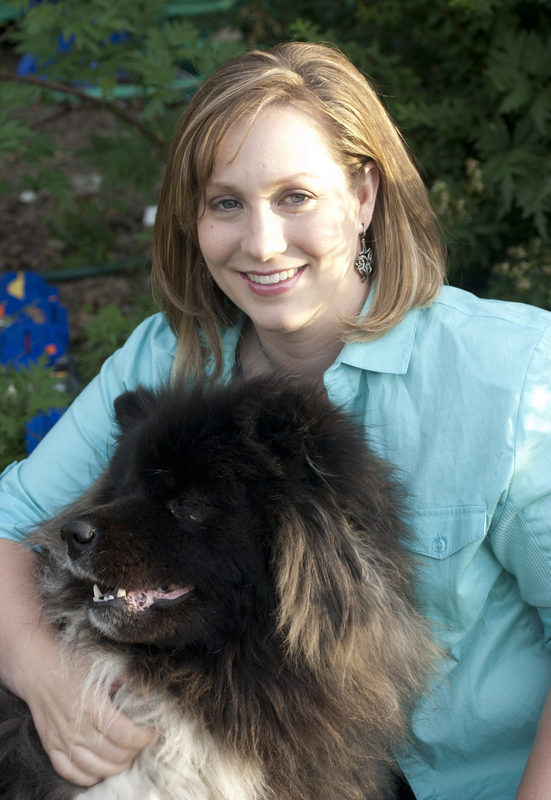 My resources were limited and I learned to find creative solutions with what I had on hand. As my skills grew I found the most enjoyment in doing off loom bead work. I loved the diversity and dimensions that I could achieve by building layer upon layer of beads onto a beaded foundation. But I still felt like something was missing. As much as I enjoyed working with the beads I found it overwhelming having so many options in bead size, colors, and textures. I yearned to make more elegant flowing designs, while keeping the pieces delicate and wearable. I dabbled in traditional wire work, but found it too simple and limiting for what I was envisioning. During my initial attempts at wire work the tools felt awkward and it frustrated me how easily the wire became mangled as I tried to shape the wire, and the more I forced the wire the worst it would become. Everything changed in 2005. I was visiting Seattle during the Bellevue Art festival; it was at this festival that I was introduced to Marilyn Moore’s work. I instantly fell in love with her beautiful vases made from recycled copper wire. I was drawn in by the movement, texture, and sculptural qualities that could be achieved when using wire as a means to weave with. I walked away filled with ideas of taking weaving techniques and transforming it into jewelry with my own style. I could see that this was what I had always envisioned my jewelry to be like. I became obsessed and scoured the internet and library trying to find anything that would teach me how to weave with wire. I came away disappointed, finding nothing that could help me apply my ideas to the wire. I wanted precise, intricate, and refined details, the few ideas I did find was very freeform, organic, rustic, and random in the styling; and was bulkier than I wanted. Over the next 5 years I experimented off and on as I tried to make my vision a reality. Everything I tried was met with disappointing results. I got to the point that I was convinced that wire work in any form was not for me, and was ready to throw in the towel. My success came when I began melding the same concepts I learned from years of beadwork into wire work. The weave became the peyote stitch, once I realized this it was an easy transition into manipulating the weave in a similar manner as I would if I was beading. I discovered that adding depth and details in wire weaving was better done by layering the wire together one step at a time, instead of trying to do it all at once. I pulled ideas from crocheting to help me handle the wire better, and sketching to help me plan out my ideas; giving it more structural stability. I experimented with the sculptural abilities of the wire and how even subtle 3D shaping added to the design. I loved the simplicity in working with just wire and a single focal piece, yet my design options were limitless. The more I worked the more I fell in love with the wire. I learned through trial and error. I had no background in wire wrapping or metal smithing. I had no preconceived notions of what not to do or even the preferable way to work with the wire. I developed my own techniques that worked for me. My hope is that I can give you a new way of looking at the wire, and a deeper appreciation of what can be done with it. 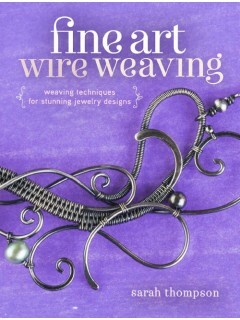 In 2010 I started teaching my wire weaving techniques. My goal as a teacher has always been to give the students a strong foundation from which they can then begin creating their own original designs. Each of my classes was created with this goal in mind; breaking down the techniques and specific design elements so that they can be learned in a manageable manner. And I am excited to now be able to share my process with you. 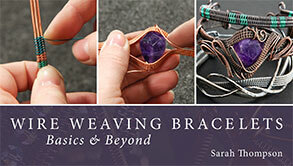 I am the author of "Fine Art Wire Weaving" and have an online Caftsy video "Wire Weaving Bracelets: Basics and Beyond" As well as multiple articles in Step by Step Wire magazine. I live in Spokane Washington with 5 wonderful children and an amazing husband. Through their support I am able to pursue my passion.